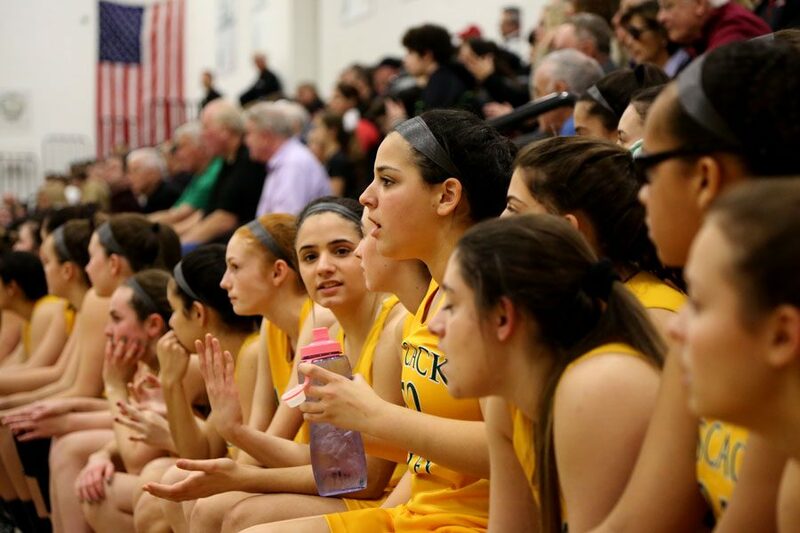 Pascack Valley girls basketball players watch the game from the bench. The majority of the Indians spend most of their time on the sideline, but many embrace their role as a team leader and a mentor. 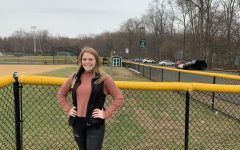 Pascack Valley senior Brenna Collins has a job working at LaViano Jewelers in Westwood, but she had to take a leave of absence during the winter season because she was too busy with her responsibilities as a member of the girls basketball team. Although Collins has only appeared in nine of 29 games and has scored just 11 points this season, she was willing to leave money on the table and not work. “There always [were] thoughts in my mind [where I thought] ‘oh my god’… I could be making money right now,” Collins said. Despite her lack of playing time, Collins, and many of her other teammates who rarely see the court, feel that basketball is more important to them than whatever else they could be doing. “You actually will never get back those experiences that you create with the team,” she said. For 46 years, PV coach Jeff Jasper and those in his program have become accustomed to winning, with 13 sectional titles throughout the program’s rich history. Girls from all four grades are a part of the team, and a total of 31 players comprise this season’s roster. However, the vast majority of the Indians aren’t a part of Jasper’s usual rotation of about six to eight players. Most end up spending the majority of their time watching their teammates from the bench. 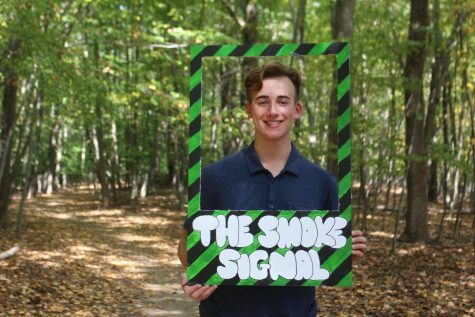 “To me, regardless of what your role is on the team, everyone is important,” Jasper said. Since such a limited number of players get consistent minutes, it’s tough for many of the girls, including some of the seniors, to get much playing time. Despite the lack of on-the-court accolades, the girls still choose to participate. They value the other aspects of being part of the team, such as making valuable memories with their teammates. Others play because they enjoy being a supportive leader and a mentor during the games, practices, and in the locker room. Jasper spoke highly of his seniors and their contributions to the program over the past four years. He said that they are great teammates, the highest compliment he could give, because they work hard and are energetic, while sacrificing playing time and attention for the betterment of the team. Multiple seniors spoke of the sacrifice that it takes to be apart of “the long gold line” as a girls basketball player at Pascack Valley. They said it takes commitment, not just during the winter season when the games are played, but all year round when the Indians take part in basketball camps and open gym sessions. This determination and team-first attitude comes from the players’ family, as well as the seniors from previous years who taught these lessons to the younger players. “I don’t think anyone could go through all four years of basketball here in this school and this program unless you had that kind of heart and commitment that you were taught at home, “ Plasencia said. Perhaps no senior has shown more commitment than Samantha Nicklas, who has missed the entire season with an ACL injury, but according to Jasper, hasn’t missed a practice. Despite their almost non-existent playing time, the girls are expected to be at all team-related functions. In the past, players have had to miss out on a number of different events because of a conflict with basketball; these include family gatherings, hangouts with friends, and the Indians are not allowed to go away during the holiday break in December. There have been instances where the time of a practice or game is changed last minute, and the girls are expected to try and adjust their schedules to accommodate the basketball team. The girls know that if they miss a team event, they run the risk of getting called out by Jasper in front of the rest of the Indians, and may be banned from playing for a period of time. They said that he holds each player accountable and will call out anyone if necessary, no matter if you are best player on the team, or the very last girl off the bench. During her junior season, senior Knar Alashian had to miss a game because she was busy dropping her sister off at college. She gave only one day’s notice, and as a result, the situation about her absence was addressed in front of all of her teammates. “I got yelled at on the bench, in front of everyone that I wasn’t allowed to play,” Alashian said. Regardless, the girls have immense respect for Jasper. They say that they are often amazed by his abilities as a motivational speaker, and he teaches his players life lessons that may or may not relate to basketball. Some of his most common motivational messages include ‘heart and guts’, which emphasizes giving maximum effort, and ‘the girl in the glass’, or to striving to be the best version of oneself. As for a defining moment that the girls will cherish from their four years in the basketball program, a popular answer was the game in which Jasper secured his 1000th career win. Another career highlight could be on the way soon if the Indians win Monday’s North 1, Group 3 sectional title game against Northern Highlands at Pascack Valley. Collins says that people still come up to her and speak with her about Jasper’s milestone, even though the game took place over a year ago. 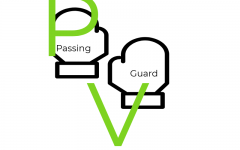 While Collins and many of her teammates may not have been contributing on the court much during many of Jasper’s wins, they feel they have still played a part in the success of Pascack Valley girls basketball, and to them, that is what counts. “It doesn’t matter if you get in [the game] or not. You still have a role,” Alashian said.